This level has medium difficulty. 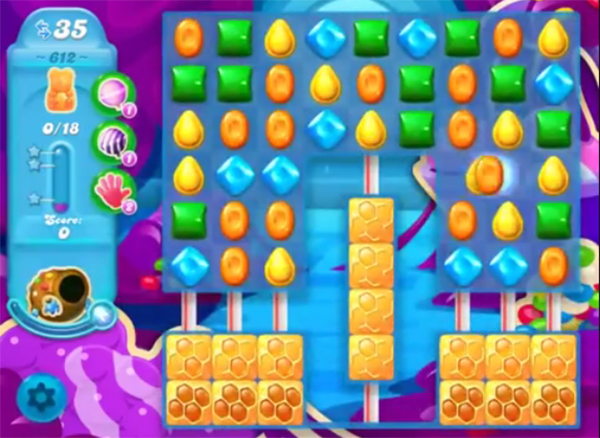 For this level try to play from the top part of the board where more candies are available to play and make special candy. Combine special candies with each other or makes striped candy, fish or wrapped candy and combine with colorbomb to break more honey blockers. Or play near to honey blockers as you get the chance to break them to save all bears within 35 moves. Your tips aren’t really tips. You just say the same thing for every level.